Infinity Incorporated Ltd is the legal owner of the BBC River City online shop. Company number 3582519. © BBC 2018 - 2019. All rights reserved. This website is made by Creative Emporium on behalf of BBC Scotland. The profits we make from it go back to BBC programme-makers to help fund great new BBC programmes. 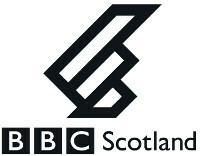 BBC, BBC Scotland and River City (word marks, logos & devices) are trademarks of the British Broadcasting Corporation and are used under licence. Website design & build © Creative Emporium.